120 youth leaders with and without intellectual disabilities were selected to attend an inclusion-focused forum in Baku, Azerbaijan from September 24 to September 28, 2018. 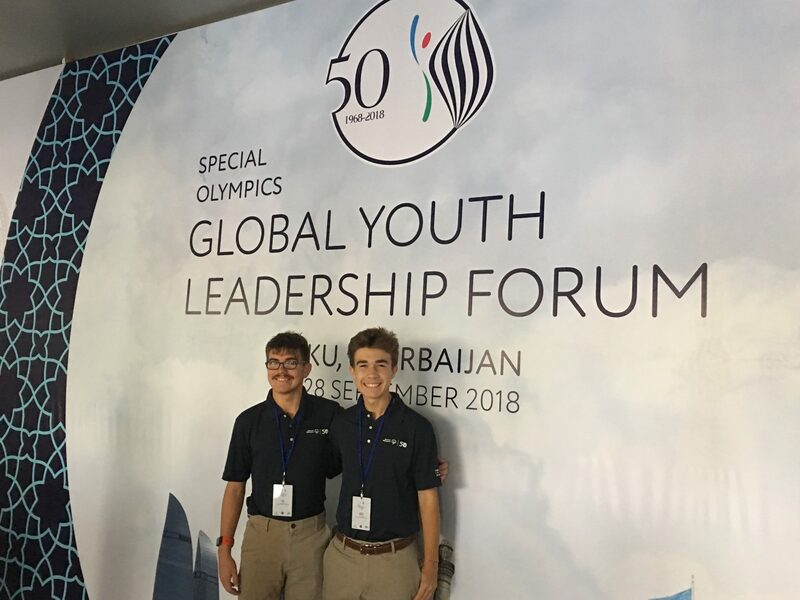 The Special Olympics Global Youth Leadership Forum was one of the flagship events to mark the 50th Anniversary of Special Olympics. Six delegations attended from North America- Illinois, Florida, North Carolina, Colorado, Wyoming, and Arizona. 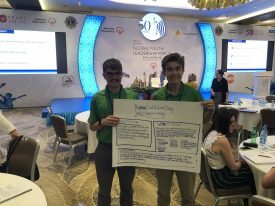 Special Olympics Illinois was pleased to be represented at the Special Olympics Global Youth Leadership Forum by Special Olympics Youth Leaders, Patrick, and Zackary of Edwardsville, Illinois. Patrick and Zackary were joined by Jillian Schneider, Assistant Director of Youth Initiatives at Special Olympics Illinois, David Wiant, Speech Language Pathologist and youth mentor, and Adam Garrett, school Special Education Director. Patrick and Zackary’s high school experience has been shaped by their involvement in Unified Sports and their role as leaders in their school’s Key Club. During high school orientation, their Key Club – which brings together students with and without intellectual disabilities – disseminates information about Unified Sports to the greater school community and invite other students to join. The Forum saw many young leaders, joined by an additional 100 adult leaders; from around the world to create more inclusive communities in their home countries. The youth leaders developed projects in Baku that will be implemented in their home countries in the months after the Forum. These projects are supported through grants from Special Olympics International. 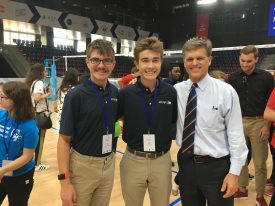 During this trip, the group heard from a panel of speakers, including Tim Shriver, Chairman of Special Olympics; Special Olympics staff, sponsors, athletes, and unified leaders from around the world. The panels spoke on a variety of topics, the power of Unified Sports, the importance of getting involved as a youth leader, Unified Sports theory, as well as driving the Inclusion Movement into the future. 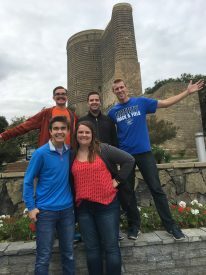 The sessions were followed by Unified group activities such as Unified sports demonstrations, group dinners with native cuisine as well as Azerbaijani dance performances, and cultural emersion experiences for all in attendance. Following the Forum, the boys returned home and combined their training with their shared passion for inclusion to help recruit new students for their Peer Program and Unified Sports. Patrick and Zackary decided the project the will implement will be a regional Unified Sports day at their High School. They would like to host the event in Edwardsville and invite both Middle Schools and High Schools from their region to come out and experience what Unified Sports and activities have to offer. Their end goal is to get 10 schools in their region signed on as Unified Champion Schools and participating in Unified Sports in no more than five years. The trip was filled with new experiences and left everyone involved motivated to foster inclusion moving forward. The group gathered for one purpose, to make our world more inclusive, by doing so we must start with our youth leaders.